Technology is disrupting and transforming nearly every industry, increasing efficiencies as well as the demand for highly skilled workers. And yet, businesses routinely complain of skills shortages while graduates are stuck in ruts of underemployment. How do we create a system that leads to more relevant skills, lower costs, more profitable businesses and a growing economy—all while maximizing equality of opportunity? 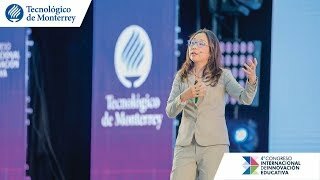 Dr. Michelle Weise says, to build the learning ecosystem of the future, we should facilitate more seamless movement between learning and work. Higher education will have to undergo a radical transformation to meet the needs of working learners as well as our growing knowledge economy. Weise’s work informs all parties concerned, from employers and vexed policymakers, to struggling colleges and nontraditional students. Senior vice president of workforce strategies for Strada Education Network, and chief innovation officer of Strada Institute for the Future of Work, Weise is the primary expert on how disruptive innovation is already beginning to impact our traditional model of postsecondary education. 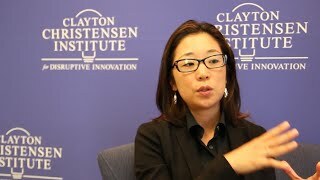 Formerly a senior fellow with the Clayton Christensen Institute for Disruptive Innovation, Weise builds her research around the fact that technology enables students to become savvier shoppers of higher education—to demand more learning pathways that move them ahead in their working lives. In her thought-provoking keynotes, she discusses how competency-based education (CBE) models break the mold of the traditional college curricula by modularizing education into bite-sized chunks of learning that are particularly well-suited to serve nontraditional students. 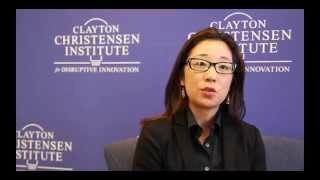 In her book “Hire Education: Mastery, Modularization, and the Workforce Revolution” (July 2014), co-written with legendary innovation expert Clayton Christensen, Weise discusses the equalizing potential of CBE aligned with workforce needs. Weise’s voice has been featured in all major education publications, including The Chronicle of Higher Education, EdSurge and Inside Higher Ed, as well as top-tier business outlets such as The Economist, The Wall Street Journal, Harvard Business Review and Bloomberg BusinessWeek. Weise also participates on Massachusetts Governor Charlie Baker’s Commission on Digital Innovation and Lifelong Learning, and serves as a senior advisor to Entangled Solutions. Before joining Strada Education, Dr. Weise was the chief innovation officer at Southern New Hampshire University and designed and led the Sandbox ColLABorative, an innovation lab and research consultancy. She also served as vice president of academic affairs for Fidelis Education. 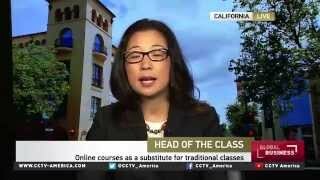 She has held several instructional positions, serving as a professor at Skidmore College and an instructor at Stanford University. A former Fulbright Scholar, Weise is a graduate of Harvard University, and earned her master’s and doctorate degrees from Stanford University. Weise is available for paid speaking engagements, including keynote addresses, speeches, panels, and conference talks, and advisory/consulting services, through the exclusive representation of Stern Speakers, a division of Stern Strategy Group®. More Americans than ever before go to college, but graduates continue to struggle to find high-wage employment. Companies are unable to fill positions, and social mobility has stagnated. 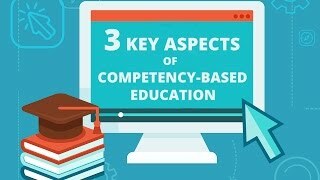 A practical solution, says Dr. Michelle Weise, lies in online competency-based education (CBE). In this presentation, Dr. Weise illustrates how learning and work are becoming inseparable and why a college degree is not the only path to a successful career. For a growing set of nontraditional students who desire on-demand access to critical education for our ever-evolving knowledge economy, we must consider all possible levers of mobility and opportunity. Forecasts about the future of the economy often reveal our fears and anxieties about what seem like tectonic shifts in the economy. Much of this negativity is tied directly to the increasing role of technology. Perceiving newness as danger, it turns out, is hard-wired in our brain’s limbic system. How do we equip ourselves with better tools to pivot toward the future? 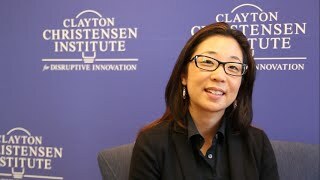 Dr. Michelle Weise offers foresight and ideation tools to make way for change in even the most intractable of situations. 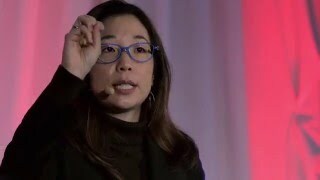 She explains the challenges facing the traditional business model of colleges and universities and discusses how education leaders can develop frameworks for innovation and safe spaces for “play,” risk-taking and creativity within the existing structures of a university setting. Since the 1890s, we have seen a trillion-fold increase in computing power—one billionfold of that increase just since the creation of mainframe computers. 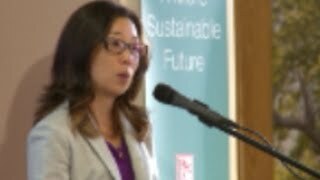 With advancements in machine and deep learning, says Dr. Michelle Weise, ours is a world of exponential futures. There are varying projections of the massive job obsolescence to come, but what is consistent is that despite this incredible rate of change, much of our educational system appears unresponsive to the changing demands in the labor market. There is no way for us to extrapolate from where we are in higher education in 2018 to meet the needs of the workforce of 2030 or 2040. As the nature of our work lives change, education institutions and employers will need more flexible and relevant lifelong learning mechanisms to help workers move forward, re-tool and advance their careers. More college or more graduate school is not necessarily the answer. In this day and age, learners will continually need to access more flexible, seamless and cost-effective learning pathways to keep up with the changing demands of the workforce. Dr. Weise outlines the transformation that needs to occur and reveals how the future of our prosperity depends on constantly harnessing the power of education throughout our working lives.